We are excited to announce our second annual coloring contest! 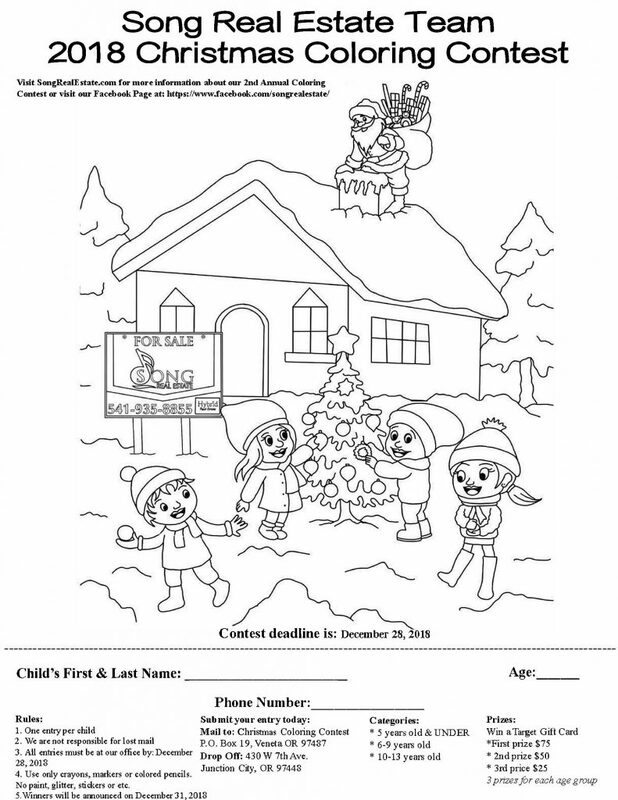 Below please find directions and information about our coloring contest. We hope to have hundreds of young artists send in their artwork! Winners will be announced on December 28, 2018. Prizes will be picked up at our team office in Junction City, Oregon. We will showcase your child’s art in our lobby and take pictures of all of our winners for our website and business Facebook page. 4. Use only crayons, markers or colored pencils. No paint, glitter, stickers or etc.